BrainMaps.org was featured on the March 15, 2007, cover of NeuroImage for the article entitled, "Internet-Enabled High-Resolution Brain Mapping and Virtual Microscopy". BrainMaps.org is far more than a cool online high resolution brain atlas, it is also a research tool. 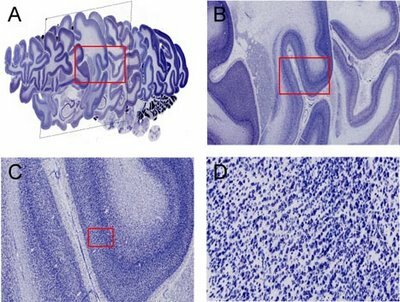 When used in conjunction with tools like BrainMaps Analyze, it is possible to download image data from brainmaps.org and apply image analysis routines. It is also possible to do 3D reconstructions and morphological analyses. Expect to see upcoming publications emphasizing this point. 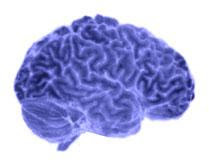 Users of BrainMaps.org have often described it as a Google Maps for the Brain, which is interesting because we have taken Google Maps as an inspiration and a guide for what mapping the brain should be like. In line with this, one of the developers at BrainMaps.org, Issac Trotts, has released a veritable Google Earth for the Brain, called StackVis. In a nutshell, StackVis is a 3D viewer of neuroanatomical sections. But it is revolutionary in the sense that it permits rapid interactive viewing of arbitrarily large images. 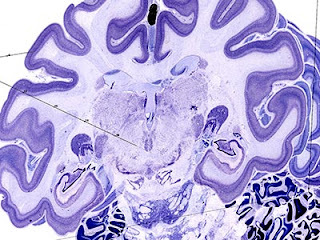 Conventional microscopy, electron microscopy, and imaging techniques such as MRI and PET commonly generate large stacks of images of the sectioned brain. In other domains, such as neurophysiology, variables such as space or time are also varied along a stack axis. Digital image sizes have been progressively increasing and in virtual microscopy, it is now common to work with individual image sizes that are several hundred megapixels and several gigabytes in size. The interactive visualization of these high-resolution, multiresolution images in 3D has not been possible, until now. StackVis is a tool for interactive visualization of multiresolution image stacks in 3D. Since Blogger does not allow HTML in the 'About Me' section, I thought it good to make a separate post, to let readers know a little about one of the people behind BrainMaps.org. I do realize that this is self-indulgent, but this is the only personal post on this blog, so feel free to stop reading now and skip to other posts. I was born on the eastern coast of Spain, of Hungarian and Spanish descent, moved to NJ, and then to TX, then to MD for graduate school in neuroscience at Johns Hopkins, and am now in sunny CA at the Univ of Calif, where hopefully I'll remain for awhile. I work in computational neuroscience and neuroanatomy. I am involved with the BrainMaps Project at the University of California, which involves online high resolution brain mapping. Mikula S, Niebur E (2007) Exact Solutions for Rate and Synchrony in Recurrent Networks. Mikula S, Fontoura-Costa L, Liu X-B, Jones EG (2007) Particle and Cell Segmentation for Light and Electron Microscopy Using Mathematical Morphology.